So as I take these wobbly, toddler-like steps into a literary life, it’s always great to know that someone has read my words and liked them. It’s even better when they want to give you an award of some sort, complete with a colorful little medallion that you can post on your blog like the Nobel Peace Prize around your neck. While I was busy doing other things (this was dog bathing week and cleaning up dog vomit week) some wonderful people in the blogosphere showered me with recognition. 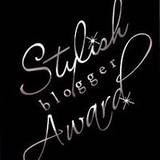 I clicked on links and found I had been planted in the garden of Versatile Blogger award winners and Stylish Blogger award winners (so take THAT, daughter of mine who thinks I have little style because I wear “Mom” glasses, and not the cool dark rims she wants me to buy). They have steps to follow in order to accept the award, but forgive me for fudging and combining a bit. 1. I played viola from grade school until my kids arrived in my late thirties. I miss it, but now that I have the time to get back to it, I have a bum shoulder. 2. In a former life I was a university professor with classes and students and committee meetings and all that jazz. 3. I have no desire to travel to places where toilets are an issue. Yes, the Amazon jungle must be amazing, but I really enjoy the modern niceties of a toilet seat. 5. That said, I grow tomatoes all the time but rarely eat them (that’s ok, husband and son make short work of them). 7. The first thing I want to eat when I get back from France each year is Mexican food. I really miss spicy food while there. Finally, I’m supposed to throw my own blog bouquets to 15 other bloggers you must read and then send them an effusive letter telling them all the prizes that will be coming their way, just because they’re great. That fifteen thing won’t happen today because 1) I’m on a marshmellow creme pumpkin sugar high that is about to come crashing down before this post is finished, 2) the marching band of the local university seems to be practicing in the park a hundred yards from my house, and 3) I have to race off to write a post this weekend for my platform campaign using words like “miasma” and “lacuna.” Easy-peasy stuff. So here is the list of people with whom you should spend time. Some may actually be surprised to get the award from me because I lurk and laugh more than join the conversation. But I have them in my reader feed fer sher. The Blooming Late Journal – over at SheWrites Samantha Stacia has gathered a wonderful group of women who decided at the age of halfway-to-dead that they wanted to be published writers – yeah, right. The Voice of Stobby – N. Scott writes just how you think somebody named “Stobby” would sound. I love her breezy voice. Gobsmacked: Confessions of a Working Writer – Valerie Brooks, well, I love her title. And I love her love of Paris and the Pacific Northwest. And I love her pirate talk. The Big Green Bowl – Michael Ann Riley has such a lovely picture of a big green bowl, which you can see I’m partial to. And other lovely pictures of food. And recipes. East Bay Writer – It’s an anonymous blog, with language and stories I envy to no end. One Sister’s Rant – Bella has a wonderful dog named Roxy. But I also like her writing style. Come back later and tell me what you're up to as autumn officially begins. Thanks!! I'm looking forward to checking out all these other bloggers. I'm totally with you on the toilet issue. I always travel with toilet paper with me in case I run into a problem. Now, I, also, carry my GoGirl. Julie! That photo of Autumn in the Black Forest is GORGEOUS! I find Autumn to be the most inspiring of the seasons for me. I'm with you re: toilets! Believe me, staying in a 6-Motel is the closest I come to camping! So glad you accepted the award! Please share with your daughter that SYLISH is a matter of taste and you and your blog are a large taste of WONDERFUL! Julie, I am honored! 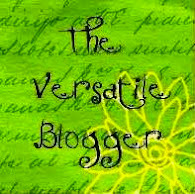 Thank you for the blog love, friend! Oh, and did I mention Roxy is tickled pink you think she's wonderful! :) I love this list of blogs which I very much look forward to visiting this weekend! It was great to discover new things about you. I too am the Mexican food lover, even if it means frequent trips to the bathroom with my sensitive stomach! hee hee! Yes, that Mexican food thing rang a bell. On the day I arrived back in the US after a fairly long trip to France, my sister picked me up at the airport and asked me where I wanted to eat for dinner. "Someplace with American food," I told her. As we drove by the Mexican restaurant, I said "There!" For a long time, I discovered you could bypass a long line at the toilets by going straight to the squat toilet at the end of the row. Would still be willing to do that but there is some doubt these days that I can rise after using. Congratulations, Julie! and oh my, thank you so much for passing along the awards to me!! I'm glad you like my green bowl. Yours are lovely too! 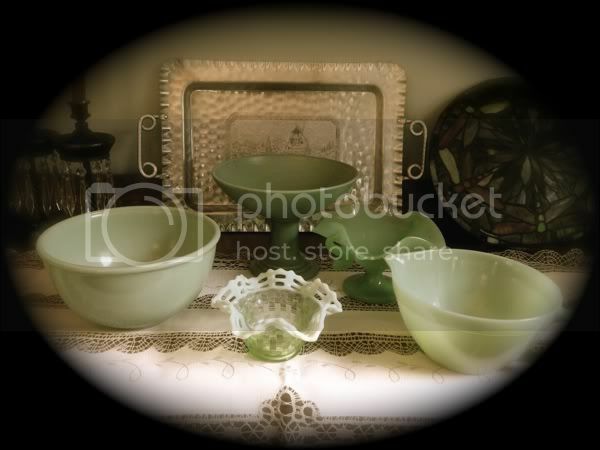 I swooned at the photo :-) I was wondering the other day what i would do if my green bowl broke. I shouldn't even put that thought out there! Anyhow, I appreciate this so much and I look forward to checking out the other blogs you've mentioned. Some of them I already know but will enjoy seeing them again and finding some new ones! And yeah-the toilet thing is an issue for me too! Thank you so much for the nod! 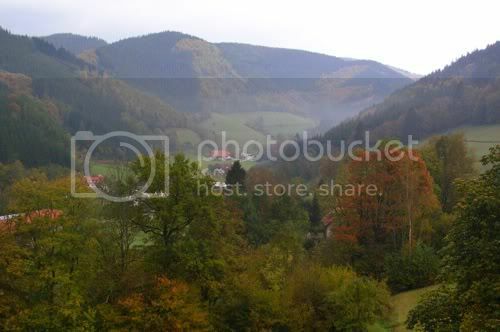 :) Love the photo of the Black Forest. Have just found you via SW. Great blog and congratulations on your awards. I also have problems clearing my email box and like proper toilets (and hot water and towels and chocolates on my pillow). Looking forward to dropping by again. Congratulations on the awards! I love the fall picture. That's a beautiful view. I'm stopping by from She Writes. It's nice to meet you. Congratulations on recieving the awards. They are well deserved. And thanks for pointing me toward some new inspirations blogs. 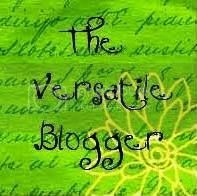 Love this blogging stuff! Thanks so much for the recognition! I really appreciate it, and I follow your posts all the time, too! I've gotten so much out of this blogging thing in such a short time. 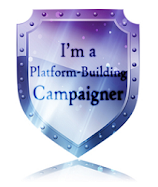 Thanks for contributing to my great experience connecting with people and sharing my thoughts and stories. Congratulations for your blog awards! I also have problems clearing my inbox and I understand why you have Mexican food when you leave France (except that what I miss most in France is Indian food).